SwitchIt! 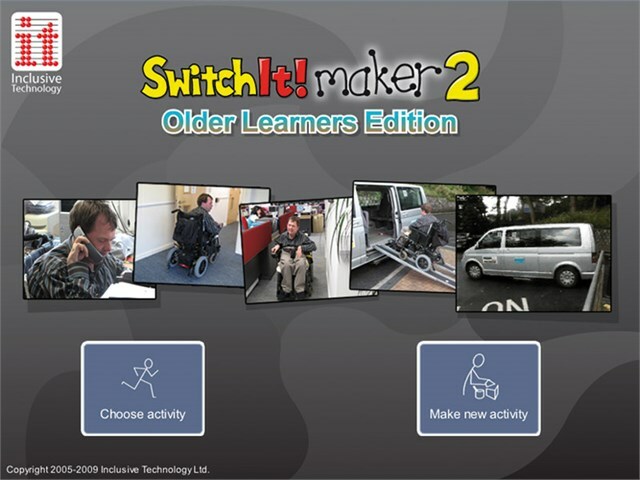 Maker 2 Older Learners Edition has all the benefits of SwitchIt! 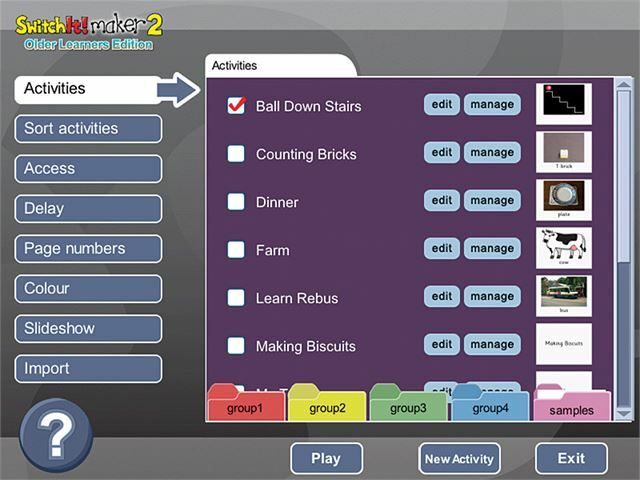 Maker 2 but also has an interface, example activities and graphics library that are specifically designed for older learners. Please note: SwitchIt! Maker 2 Older Learners Edition software is downloadable software delivered via email within 2-3 days of receipt of order. Ideal for KS3, KS4 and beyond, this software makes it really easy for older users with learning difficulties to create life stories as part of person centred planning. They can also create their own talking stories or present their preferences and interests in a way that is meaningful for them. Activities are automatically accessible using a switch, touch monitor, keyboard or mouse.